"Girls Changing the world is a movement dedicated to fueling the confidence of girls by helping women and daughters to own their feelings and let their power shine together." It's a fact - the female brain is physically structured differently. And it's a fact - the teenage brain is undergoing massive reconstruction. Put those two factors together and between the ages of eight and twenty, our little women are undergoing massive change that can create turmoil and anxiety. 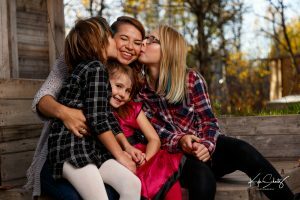 As a mom of three daughters, an emotions coach, a professional speaker and a facilitator for the Canadian Mental Health Association, Tracy Lee Thibodeau brings programming to schools, communities and the corporate world to share insights into what it means to be a female and how to use our feminine (and masculine) nature to change the world. Raising daughters is one of the most important jobs a person can have on this planet. Girls are a special type - they have both a strength and a sensitivity that needs nurturing and direction. Girls Changing the World is about recognizing the biological challenges that exist among girls and offers a real conversation on how to raise confident girls and to Spread Love. 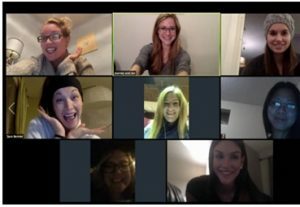 Brought to you by Emotion Coach, Tracy Thibodeau, Girls Changing the World is about building a community of moms who have the knowledge and the support to grow confident girls. Tracy Thibodeau is the mother of three daughters, who are also her biggest teachers, Rylee, Fia and Araya. Together the four of them continuously practice the art of expression and use the power of communication to navigate four different personalities. Tracy is also a certified Life Coach, co-host of momondays Winnipeg, co-founder of the I Am Festival, co-operator of Ignite Retreats and a program facilitator for the Canadian Mental Health Association.